On Saturday, May 25, we scattered Andrew’s ashes at sea on what would have been his 38th birthday. 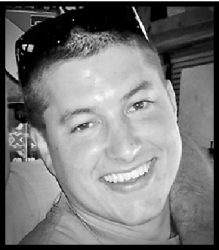 It has been nearly a year and a half since Andrew died in the jail you command, yet we are lacking basic answers to extremely troubling questions about what actually happened to Andrew. Additionally, the video evidence clearly shows that Andrew was not afforded any opportunity to use the restroom in violation of Sheriff’s Custody Policy 523, that Andrew never received appropriate and policy-compliant range of motion exercises from custody staff in violation of Sheriff’s Custody Policy 523, and that Andrew was held in the restraint chair for a period of time greatly exceeding that which was necessary to control his behavior, also in violation of Sheriff’s Custody Policy 523. You have publicly stated numerous times that jail custody staff appropriately followed all policies and procedures. This does not appear to be a true or accurate statement. Based on the facts known today, several fundamental questions are raised that demand an honest and credible answer from you. We believe we are not only entitled to these answers, we further believe that it is not reasonable or appropriate for the electorate to go to the polls without having answers to these fundamental questions. These issues speak directly to your veracity, honesty and your willingness and ability to address the very serious challenges of overseeing the SLOCounty Jail. 2. Do you acknowledge that custody staff did not follow the relevant and applicable policies concerning restraint (Sheriff’s Custody Policy 523-Use of Restraints) with Andrew, or do you continue to maintain that your staff followed all policies and procedures appropriately? 3. Given the implication has been raised that Andrew’s time in the restraint chair was punishment or retaliation, and that jail custody staff were not following restraint policy, what are we to infer from the fact that the correctional sergeant who ordered Andrew into the restraint chair and the correctional lieutenant who was notified of this action on Friday, January 20, 2017, have since been promoted to correctional lieutenant and correctional captain, respectively? Is there an explanation which you can provide for why the staff members responsible for these horrendous actions have not been disciplined and have instead been rewarded for fatal errors of judgment at best or malicious intent at worst? 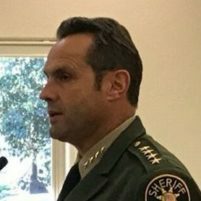 Mr. Parkinson, you are claiming to be the person who can bring the Sheriff’s Department and the SLO County Jail out of the darkness that surrounds them. If that is true, you should be willing and able to give the voters and citizens of this county, as well as our family, honest answers to these questions. We look forward to your candid and definitive answers to these questions before Tuesday, June 5, 2018. The Holland Family Alliance seeks to bring transparency, accountability and reform to San Luis Obispo County’s broken mental health and criminal justice systems. If you would like more information about this topic, please contact 805‐801‐1728 or email at info@hollandfamilyalliance.org. I haven’t watched the video of this, but have read about the whole thing, so let me get this straight in my mind,the Hollands had a son that was on drugs,his mind is altered, he has mental problems, now I see that they have a restraining order against him, he has problems, why didn’t these people do something about this, he gets picked up by he sheriff and everything goes downhill from there, why didn’t these people do something about it,he dies why under arrest at the sheriff dept, I’m truly sorry for the loss of their son, BUT why didn’t these people do something about his problems, now they have won judgement against us the taxpayer and are running a campaign against the sheriff who wasn’t even at the station, what happened at the jail was not called for heads should roll for their behavior, but the parents should have done something with their son to get him help not blame someone else for their failure. I agree with slomark. The ups and downs and some comments have been rigged. Also, this is the first mention of the parents having a retraining order (irrelevant anyway). The County Sheriff should have the overwhelming support of the residents. Sheriff Parkinson does not have that. He should have resigned and taken responsibility for Holland’s death and others. He is not an honorable man. If he gets re-elected it is because his opponent does not have the qualifications we would like him to have. Still, I would prefer the less qualified candidate than a man who couldn’t tell the parents that he was sorry their son died. Greg Clayton is that you?